This unique alarm clock benefits from both vibration and sound alarm. It is ideal for anyone who is hard of hearing or with sight limitations, as it is an alarm you ‘feel. Simply place under your pillow and the alarm will wake you by vibrating without disturbing others in the house. 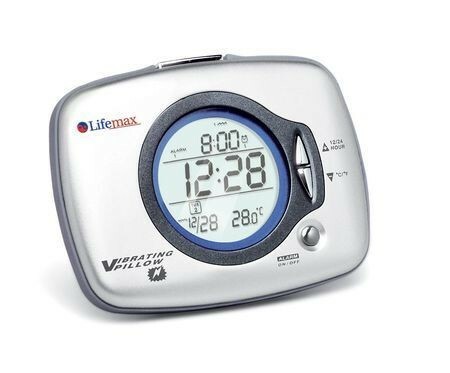 Additional features include temperature display, snooze and backlight features.